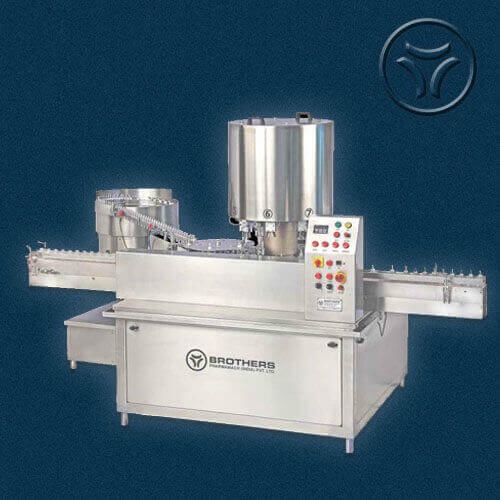 The Automatic Linear Measuring Cup Placement / Cap Pressing Machine Model CAPPRESS-150. 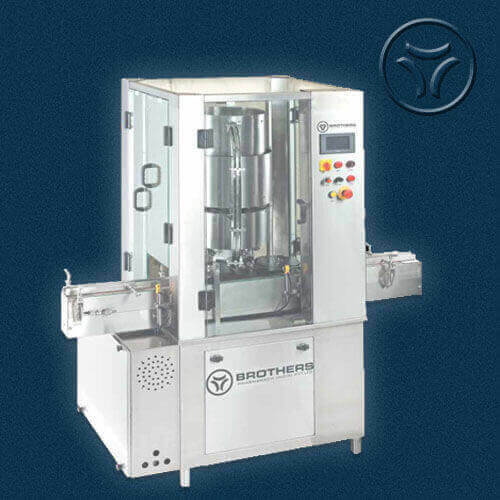 Machine is suitable for Round or other shape of Glass, Plastic, PET, LDPE, HDPE Bottles with maximum speed of 150 Bottles per minute depending on Bottle Diameter, Bottle Height, Bottle Shape and Measuring Cup / Cap Size. 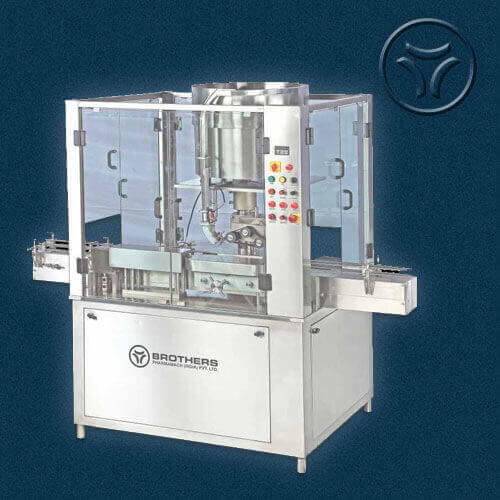 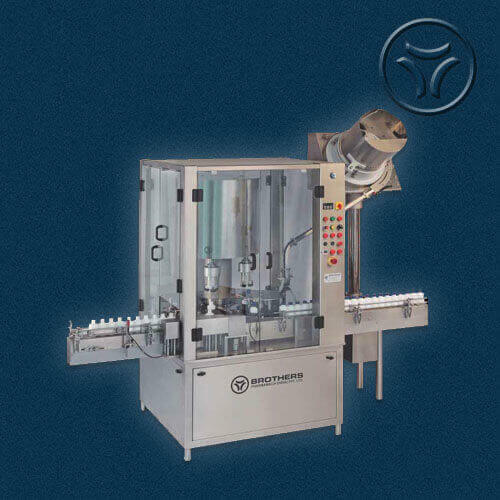 Machine with special Linear Design with No Change Parts system for Change in Bottle Size. 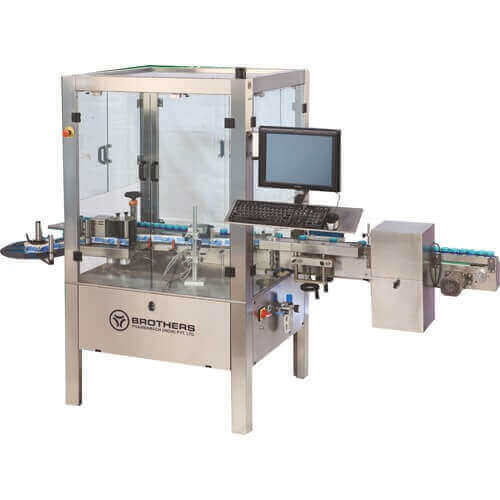 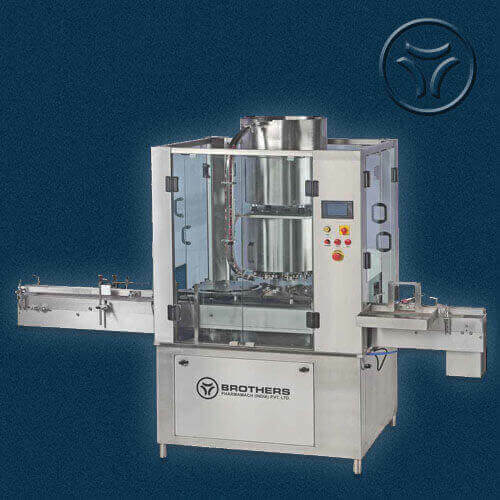 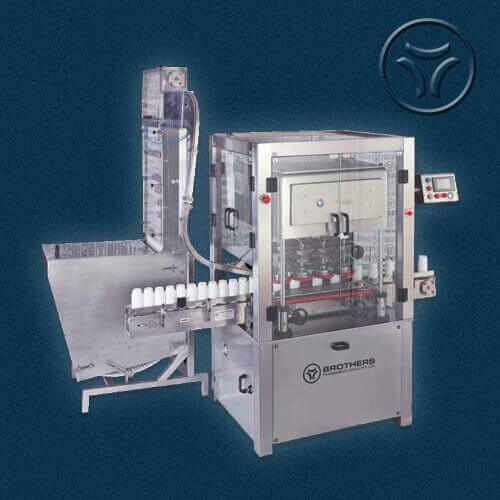 Machine with Totally Synchronized Front and Back Bottle Holding Belt with Top Stabilizing and Pressing Belt System. 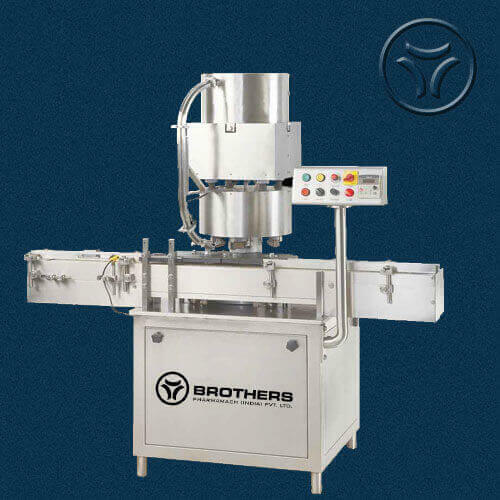 Specially Machine construction in Stainless Steel finish including machine M.S. 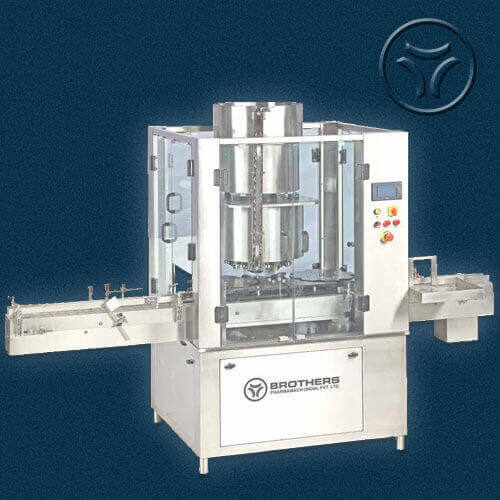 frame structure with Stainless Steel Cladding/Enclosures. 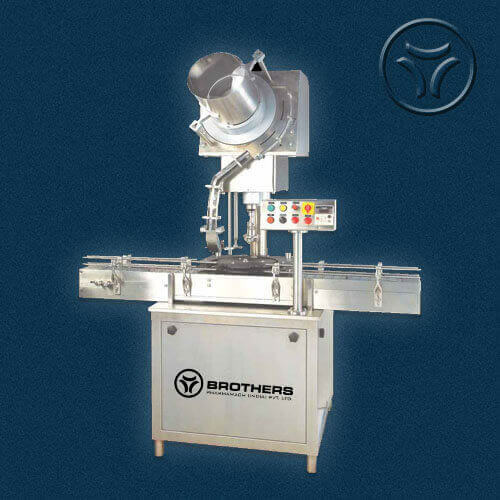 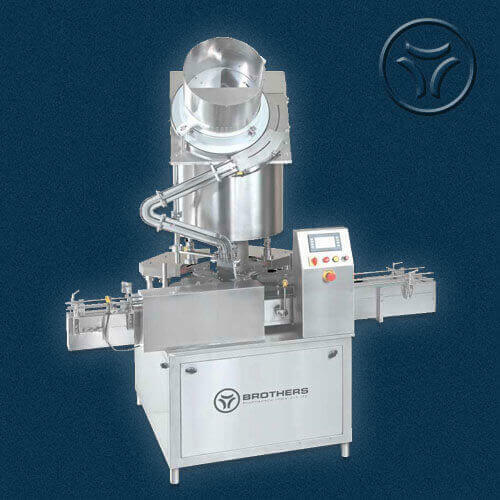 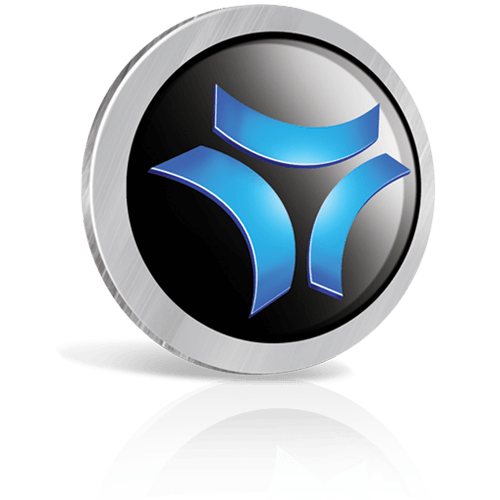 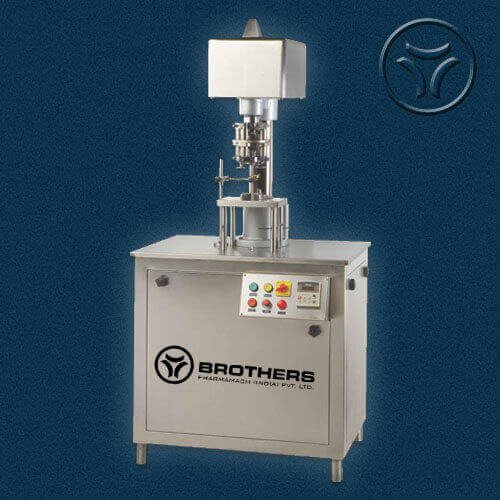 Machine is ideal for application in Pharmaceutical, Food, Pesticides, Cosmetic & Other Industries. 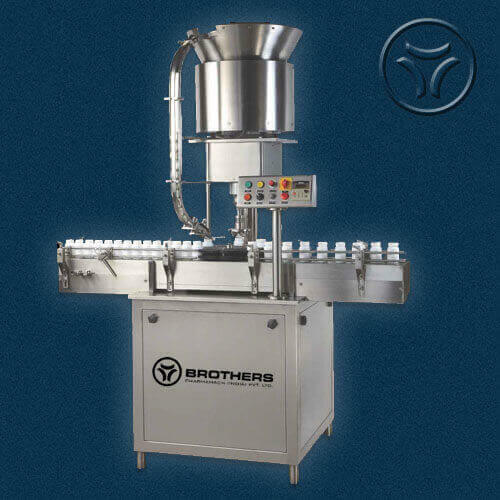 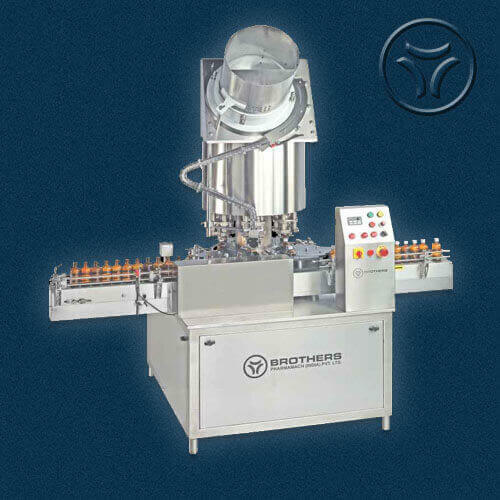 Machine with user friendly operation to handle various type and size of bottles. 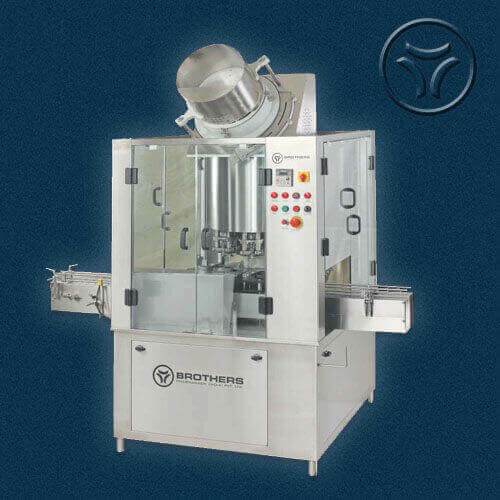 The Machine is equipped with Orientation type Cap Feeder or Vibratory type Bowl Feeder depending on cap shape and size for continues feeding of Measuring Cup / Cap for online operation on any liquid or powder filling line. 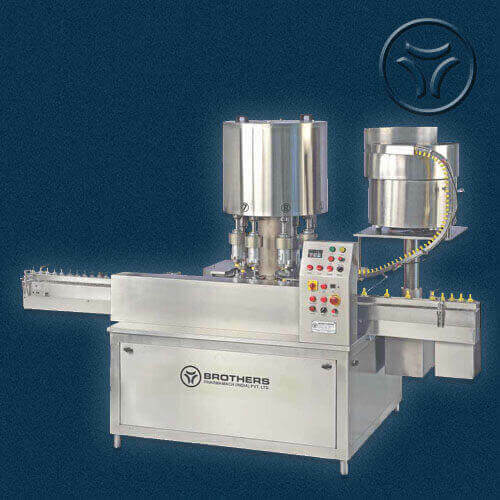 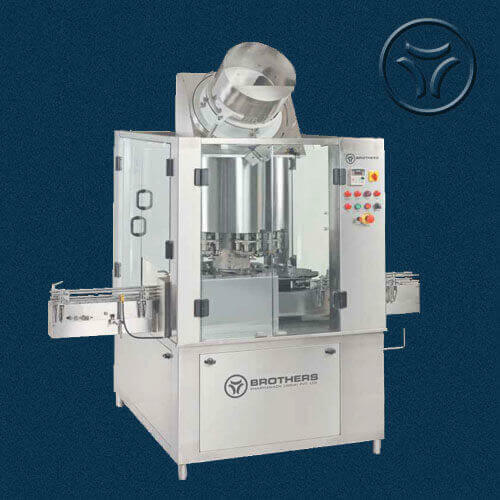 Machine suitable for various sizes of Bottles and Measuring Cup / Cap with the help of change parts. 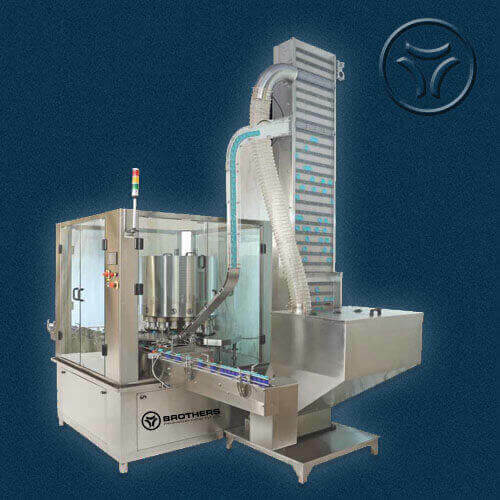 Machine is suitable for application in Pharmaceutical and other industries requiring higher production speed on automatic online operation. 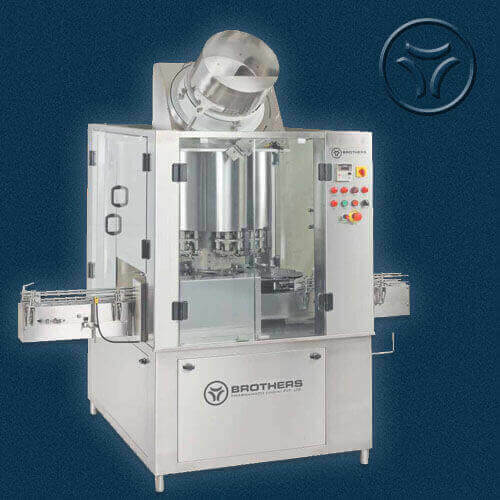 Note: Please ensure that the Measuring/Dosing Cup design should be straight or does not have bigger mouth diameter compare to top dia. 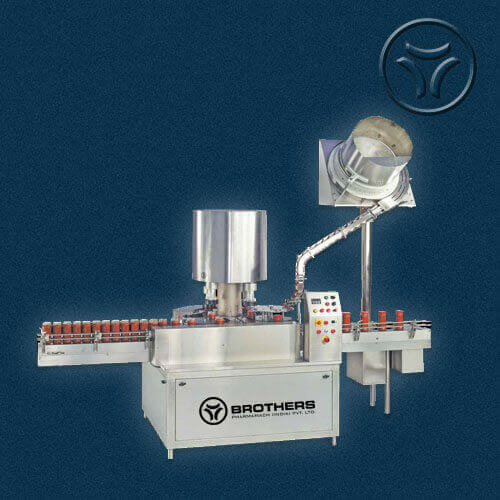 to avoid insertion of cup in each other during the movement in cup feeder which block the movement. 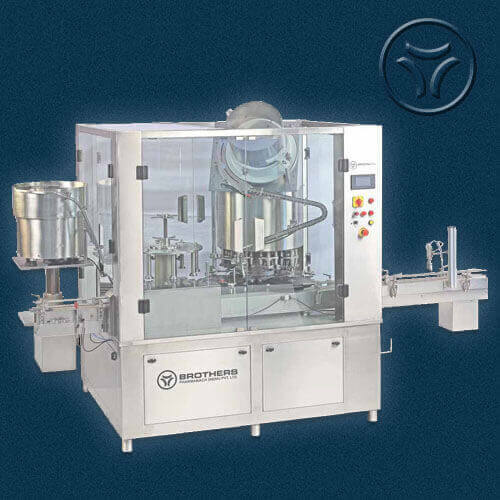 - Measuring Cup / Cap Feeder with Variable Speed System for feeding control of caps.